It is impossible to imagine Russian holiday table without Blini! These thin pancakes are usually filled with numerous delightful fillings such as cheese. mushrooms, caviar and fruit. 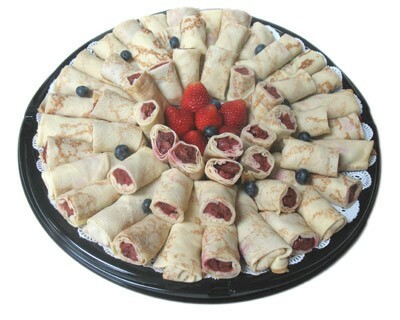 Don't hesitate and try Russian Blini with Cherry! The rich taste of berries combined with delicate pastry is so tempting!